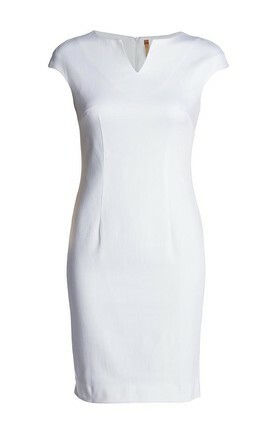 Dress CONQUISTA in white stretch gabardine fabric. Sleeveless with a V opening in the front at the chest. Darts at the bust. 2 pleats in the front for a perfect fit. 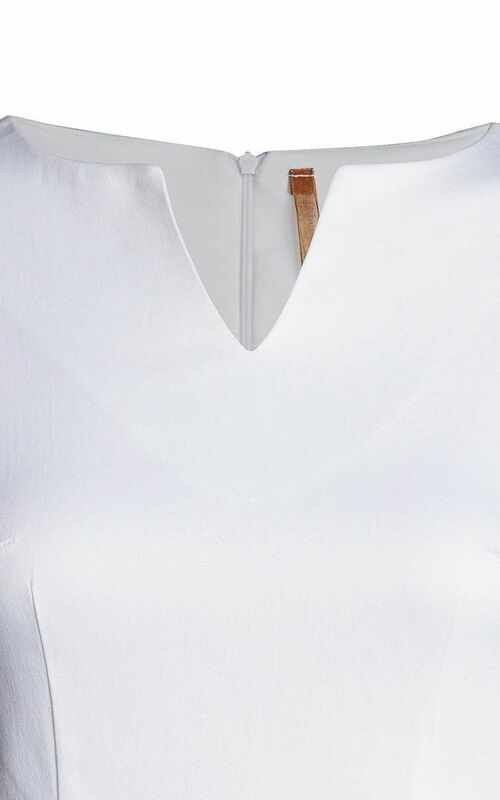 Concealed zip in the back. 11cm slit at the back. 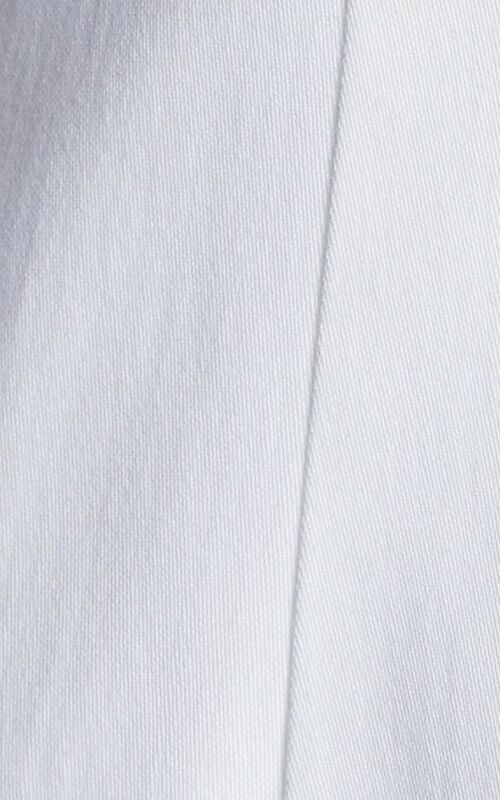 White stretch polyester lining.